If you want to create professional invoices and distribute them to your customers, you can use JotForm's new PDF editor. As a beginning, you can collect your customer's information, for example, full name, address, phone number, e-mail, invoice number, invoice amount with this customer bill pay form template. 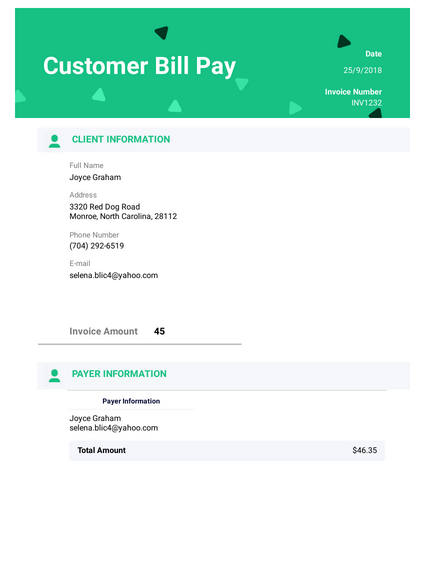 Also, this customer bill pays form template is integrated with Stripe. We have prepared a professional invoice PDF template to help you to send invoices in seconds! You can gather the billing information, shipping information, invoice details by using this invoice form template.